You’ve tried it all: various types of medications, counselors, psychologists and psychiatrists. You may have also spent a lot of money on relaxation methods like massages, chiropractors and physiotherapists. All of whom promised to improve your depression but provided short term and forgettable results. You might have bought books and CDs in an effort to get educated, participated in forums, joined a support group or visited a local mental health care centre, hoping one would contain that vital piece of information to achieve a breakthrough. Perhaps you also invested in gym and physical conditioning programs. If you are religious, you’ve prayed. Yet despite all your hard work you are not beating depression, it’s beating you. Despite your best plans and intentions, nothing is happening. Worse still, the thought occurs that after so long you have made little to no progress at all. You begin to feel depression will always have the upper hand in your life. It seems that in spite of your good character, your ‘niceness’ and good work, you are consigned to a life of shallow relationships, resentment and depression. That barking black dog isn’t going away . That’s incredibly infuriating, isn’t it? Nevertheless, along the way you have made some progress. 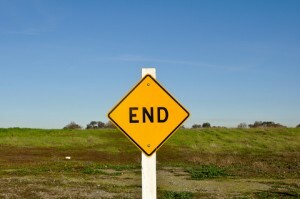 You have had moments of great joy and formed a belief that it could be all coming to an end. But then something happens, sometimes unforeseeable, that puts you back to square one. Why on earth is this happening? And why on earth is this happening to you? After all, you are a good and decent person right? You had the best intentions of how your were going to build a life and help people. People who seem much meaner than you seem to be thriving in life. Their conduct and character may be so much more selfish than yours, but they seem to enjoy life a lot more and don’t seem to have problems and setbacks like you. How annoying! You begin to ask questions: So when the hell is my depression going to get better? When will I able resume a life without fear of relapse without constant vigilance? Without needing to always monitor my thoughts, emotions and mood? When can I go to bed without thinking of so many things? When are past memories going to stop infecting my dreams, draining my resources and consuming my life with burden and worry? When will the silver lining materialise and shine some hope into my circumstances and life? Does this sound familiar? Have you ever thought that you just can’t beat depression? Know that you are not alone. I repeat: you are not alone. Depression is often a long struggle. It is punctuated with feelings of frustration at how long things take to get better. It is actually quite common for people beating depression to go through these types of thoughts. Multiple relapses are the norm, not the exception. Actual recovery time is a lot longer than ideal notions and personal desires. In all the online information about beating depression, one key point is always missed: depressed people often do try and beat depression, but how they approach recovery is the problem. It comes from personality characteristics that predispose people to depression: all-or-nothing or black and white thinking, perfectionist types, controlling and overly conscientious people. Their attempts at beating depression can come undone because sometimes people try too hard. They become emotionally and physically exhausted in the process. In many cases, beating depression is about making a brave and concious decision to simplify your existence. Cutting out or down on activities, such as Facebook or excessive internet usage. These activities may feel enjoyable at the time but aren’t really necessary and often rob people of precious time to relax the mind and body. Instead, do intentional calming activities such as meditation, yoga, prayer and journalling, which can really get your mind into a more holistic state. Unconscious hurts and feelings often lay dormant, yet still can exert power over someone’s life. The unconscious is not bound by time, so injuries and hurts suffered at the age of four can still be actively influencing a 70 year old, unless those old pains and hurts get felt and released. See How Freud Beats Depression to explore this further. It takes time to really get on the solid path of recovery. Don’t think of recovery as smooth or easily progressive, it’s not like an exercise regime that gives clear results based on work you put in. When it comes to troubled emotions, general recovery is a lot more complex, convoluted and messy than people would like to think. Unfortunately you cannot protect yourself from the stress and fear than life throws at you. A lot of situations may not turn out the way you expect them do. Financial, family and employment crises can heighten tension and produce depressive reactions. The key to staying strong is cultivating resilience with your recovery and expecting setbacks and adversity along the way. This is part of training the mind to reflect and engage with reality in a more genuine way. No one is happy all the time. Nor should your strive to be either. Strive to be genuine, authentic and real. Much of life is unfair and striving for perpetual happiness doesn’t actually make much sense. That being said, people still can be joyful in good and bad situations. These are often the people who have attained a greater sense of maturity and wisdom through difficult circumstances. Beating depression can sometimes be a slow and painful thing. If you are really frustrated and are thinking of giving up – DON’T.